I love shopping for school supplies. As a child, I looked forward to it every year. 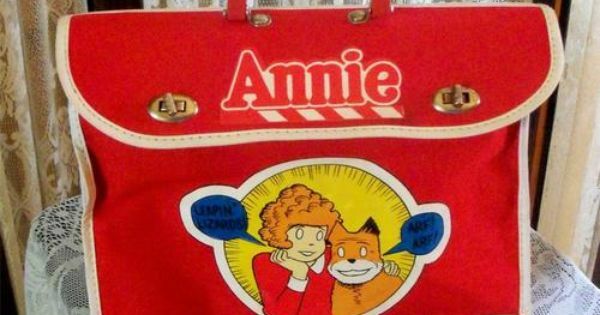 If I close my eyes, I can still clearly picture my very first school bag, bright red with silver buckles, emblazoned with the logo of the 1981 movie version of the musical Annie. (It looked kind of like this, except I don’t remember the main image being cartoon Annie and Sandy.) It helped me through the difficult first day of kindergarten, when I was homesick and missed my mom and a mean boy told me I had a fat belly. Pretty much every year, I would get a new backpack (except when my grandparents got my brother and me L.L. 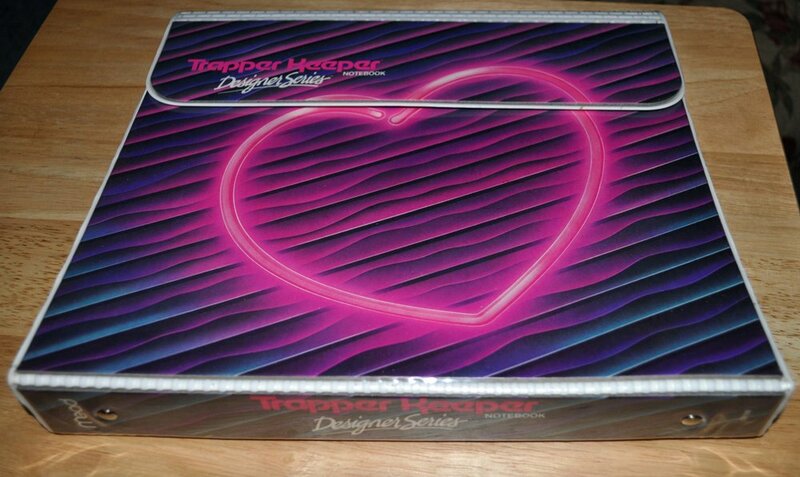 Bean backpacks, which lasted and lasted) and a colorful assortment of notebooks, folders (I still miss my Trapper Keeper), pencils, erasers, and other supplies. When I grew up, I looked forward to going back-to-school shopping with my own kids. Now, I’m a stepmom to two boys. They have, at least so far, gotten all their school supplies with their mom and haven’t really needed my help. But every year, my church sponsors a bunch of kids through HALOS, a local organization that for the past twenty years has been helping family members (often grandparents or aunts/uncles) who take in children to keep them with family and out of foster care. Because they aren’t foster parents, these families don’t receive government financial assistance. HALOS steps in to offer them all sorts of support, from counseling to help getting essentials like food and health care to connecting them with sponsors in the community at Christmas and the beginning of the new school year. I’ve done Christmas shopping for kids in need in the past, but this year I wanted to help with back-to-school. I especially wanted it to be an experience that included our two boys. I wanted them to understand that as a church and as a family, helping other people is important to us. And I wanted them to begin to understand that not all kids are as privileged as they are. So on the Sunday that the children’s names were offered at church, we took one of the thirty slips of paper, attached to a shopping list. We would be getting school supplies for a 5th grade girl. We had her first name and her clothing sizes for school uniforms, along with what supplies her school expected students to have. The following Thursday, I picked our boys up early from their summer day-camp so we could all go shopping. (My husband was only too happy to let me do this without him, since shopping with the boys is far from relaxing.) “We are getting school things for a girl whose family can’t get her everything she needs,” I told the boys when they asked what we were there to buy. I sighed, unsure how to explain. “You and your brother are blessed with four parents who love you and can afford to get you anything you need. A lot of kids don’t have that, and so God wants those of us who have a little extra to help out people who have a little less. That’s one way we can love our neighbor like Jesus said to do. Does that make sense?” He nodded, distracted by a toy display near the entrance. As we made our way through the crowded store, loading the shopping cart with backpack, folders, pencils, paper, pants, shirts, and more, the boys started to get bored. Soon they were chasing each other between racks of clothes, squealing and darting in front of other people’s carts. Frustrated, I promised them that if they would stay with me and help me find everything on our list, they could each pick out a small treat before we left the store. That put them on their best behavior and we finished our shopping pretty quickly. The five-year-old changed his mind three times before finally settling on a camouflage-patterned fidget spinner as his reward. His older brother got tearful when I told him that the Pokemon cards he wanted were too expensive to qualify as a “small” treat. He took so long finding something else that I began to think we would be in the store until their bedtime. Finally, I told him he had to the count of ten to find something before we went to the checkout. Whatever he grabbed was ultimately unsatisfying, and he sulked all the way to the car. By this time we were all hungry and grouchy, and I wondered if I had made a mistake by involving the kids at all, since they sure seemed to be missing the point about helping others and being grateful for what they have. “Or maybe they died?” The night before, we had watched a Disney movie in which (unbeknownst to my husband and me) the opening scenes involved a little boy’s parents dying in a car crash. It made an impression. Both boys were quiet in the backseat as I turned into our neighborhood. Then I heard a little voice say, “We should’ve bought her some toys instead of us. We’ve got a lot already.” I smiled, and reminded him that we did put a few little fun surprises in the backpack. Being a parent is definitely bringing a lot of challenging new things at 40 into my list, and I’m sure I’ll screw up a lot. But the conversation on our shopping trip gave me some hope that my co-parents and I are not raising totally ungrateful little brats, and hey, that’s a pretty big victory these days.